The Executive Board is the senior leadership team of Impact100 Westchester, responsible for setting overall policy and for overseeing all activities of the organization. Susan has lived in Armonk since 1997. 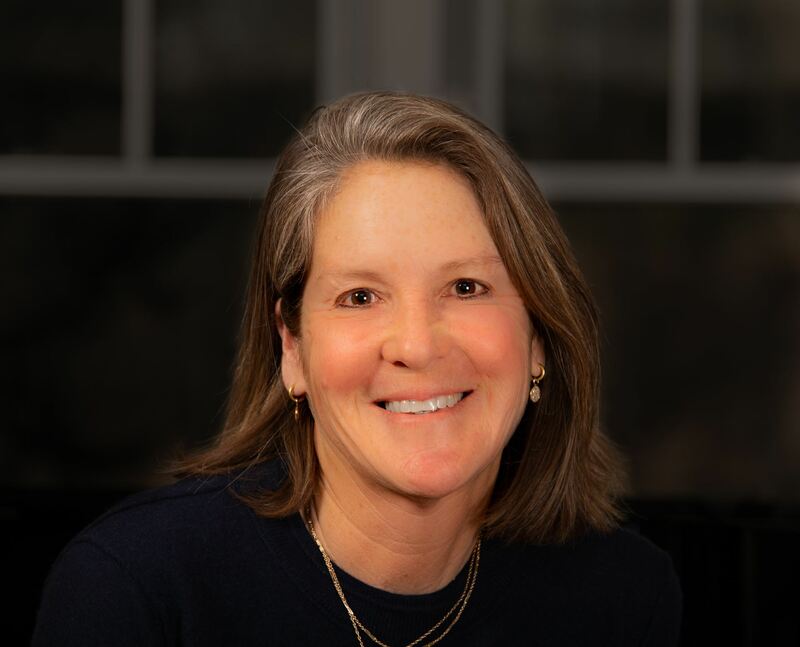 In addition to raising three mostly wonderful children, she has been actively involved in a wide variety of volunteer philanthropic activities and organizations, including: Pleasantville Cottage School, Byram Hills PTSA, Armonk Art Show and YPIE (Yonkers Partners in Education). She has been a Board Member of Congregation B’nai Yisrael of Armonk, chairing its Cultural Connections Committee. Before her child-rearing days, Susan received an MBA from the Wharton School and a BA from Binghamton University. She worked in market research for Quaker Oats, AT&T, and the University of Michigan. She and her husband, Steven, enjoy outdoor activities, especially with their dog, Scout. Sam retired from Atlantic Records in 2013 after serving as EVP and CFO for 10 years. She spent a total of 22 years working for Atlantic. She started her career at Ernst & Young after receiving her BSBA from Bucknell University. Sam was a member of the Board at Congregation B'nai Yisrael in Armonk from 2013-2017. She became VP of Programs and a member of the Executive Board in 2014. She also chaired the Caring and Social Action committee and continues in that role today, a role that keeps her involved with many not for profit organizations within Westchester. Sam and her husband, Fred, moved to Armonk in 2000 where they have raised their two sons. Sam likes running (and exercise generally), reading, tennis, skiing, traveling and, most of all, spending time with her family and good friends. Since 2006, Blakely has lived in Armonk with her husband, Marty, their two children, and several rescue animals. She is actively involved in many nonprofit and volunteer organizations within the Westchester community, including: Hope's Door (Board of Directors), Family Services of Westchester (Board of Directors), the Pleasantville Cottage Schools (Volunteer and Mentor) and the Bedford Presbyterian Church (Deacon). She is also a Past President of the Junior League of Northern Westchester. Prior to her work within the nonprofit sector in Westchester, Blakely worked for many years in Pharmaceutical Sales and in Human Resources/Recruitment at Merck & Co. Blakely holds a BA from Duke University, a Masters in Industrial and Organizational Psychology from NYU, a certificate from the Nonprofit Leaders Program at Fordham University, and a Certificate in Grantmaking and Foundations from NYU. Blakely enjoys reading, traveling with her family (with and without kids), ordering takeout, spending time with close girlfriends, and spoiling her four-legged family members. Dawn has lived in Edgemont since 1998, with the exception of a 2-year hiatus in London. In addition to raising three children, she has been, and continues to be, actively involved in a variety of volunteer activities and organizations. They include: the Junior League of Central Westchester (literacy projects and an active docent for Wayside Cottage), the Edgemont PTA (co-chaired the annual musical, and annual book sale), Gigi’s Playhouse (literacy tutor), The Acceleration Project “TAP” (small business consultant), and the Edgemont E-Club (Treasurer). Before raising her children, Dawn received an MBA from Harvard Business School and a BS from SUNY Albany. She was a product manager for Slim Fast Foods, a management consultant for Deloitte Consulting with a focus in operations, and a Vice President for an online jewelry retailer. She and her husband, Brian, enjoy spending their free time with their children and friends. After working on Wall Street for many years, Laura founded her own financial planning firm, True Abundance Advisors, for people navigating big life tranistions and preparing for the next chapter of their lives. Laura is a CFP and a CFA, and received her MBA in Finance from the NYU Stern School of Business and her BA from Barnard Colloge, Columbia University. She and her husband Merrill have lived in White Plains since 1989, where they raised their three children, Elana, Ben and Saul. They are very involved in their synagogue, Bet Am Shalom, where Merrill is the current Chairman and Laura has served on the board and has taught classes, including Wise Aging and Mindfulness and Money. Laura is a certified yoga and meditation teacher, enjoys skiing and spinning on her Peloton bike! Roberta is a real estate professional and a CPA. She manages information technology to support real estate appraisals and generate market reports on sales trends in the nation’s most desirable zip codes. A long-time Edgemont community volunteer, she has served on the Edgemont School Foundation and PTA, and led the Fort Hill Civic Association. Roberta earned a BS in Finance from The Wharton School at Penn and graduate degrees from Columbia and Fordham Universities. She and her husband Mark live in White Plains and have three grown children. Roberta enjoys playing piano, improving her new home, using technology creatively, and spending time with friends. Laura started her career in the clothing industry as Production Manager for Adrienne Vittadini and Ellen Tracy. She later transitioned to leasing commercial real estate in Westchester County, where she grew up. Laura is passionate about giving back, volunteering at My Sisters Place on behalf of victims of domestic violence as well as serving on the Board of The Sharing Shelf. She also serves on the Executive Board at Metropolis Country Club where she is an active golf and tennis player. Laura earned her BA from Hamilton College. She and her husband live in Rye Brook with their dog Rocky and have three grown sons.